As part of Amazon Employees for Climate Justice, Sheppard and her peers have helped to circulate an open letter calling on CEO Jeff Bezos and the company’s board of directors to adopt a companywide plan to address climate change, naming a handful of specific demands. Those demands include drawing down carbon emissions at a rate commensurate with the latest Intergovernmental Panel on Climate Change report, and that the company sever its ties with companies that accelerate the extraction of fossil fuels. By Friday, April 12, some 6,000 employees had publicly signed the letter—nearly one-tenth of the company’s entire corporate staff. “It’s hard to overstate how rare this is for Amazon,” Jason Del Rey, who covers Amazon for Record, noted in a tweet. “(It’s SUPER rare).” The letter follows another unique employee action that saw 16 Amazon workers file shareholder resolutions petitioning the company to adopt a climate plan. I reached out to Sheppard for some context on the movement inside the company—how it came about, what the organizing process looked like, and why so many employees were apparently willing to buck Amazon’s notorious penchant for secrecy to make this statement. We ended up having a wide-ranging conversation about the realities of climate change, what it’s like to organize for change in the tech industry, and the burgeoning worker movements in Silicon Valley and Seattle. I think airplanes are awesome, and I also think airplanes are using a lot of jet fuel. I believe that if anyone can figure out a way to take a stagnant industry like aviation and make it sustainable, it’s Amazon. So I feel really motivated, but I don’t think we’ll be able to do this without a companywide plan to match the scale and urgency of the climate crisis. So that’s why we have this open letter, this movement, all of these employees coming together, both as employees and as owners of Amazon stock. My income is based on Amazon stock, and being a person who obviously wants to be financially successful, I want Amazon to be financially successful. The generations, the times are changing, we’re switching from baby boomers to millennials, and climate change is important. 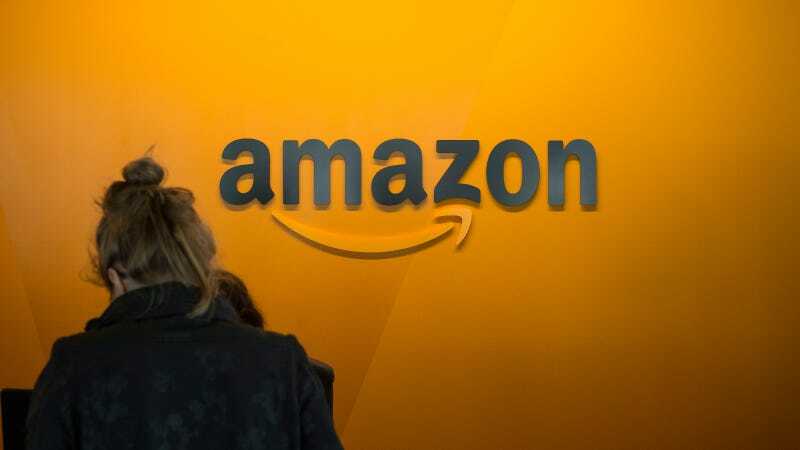 It drives customers’ decisions, it drives us on all sorts of consumer decisions, we want to work for a company that’s at the forefront of that, because I think that’s how Amazon stays financially soluble. Amazon has a term called ‘Day 1’; about how we keep being innovative. This is how we stay ‘Day 1’. Sheppard: I feel probably the most energized I have in six years. I’ve been working in aviation since 2013, and don’t think I’ve ever felt at home with the impact that it has on the climate. And that being said, I think it takes a lot of action from a lot of people to make the changes that we need, so it’s just been really inspiring and motivating and energizing to work with all these people who feel the same way and realize that we are empowered to make this change, so I feel great. Sheppard: I had been really struggling—and I think, again, this is something that a lot of my peers feel—to be motivated to come into work every day. Because it’s hard to see stagnation. Amazon’s innovative, it’s constantly creating, it’s building, it’s redesigning industries. And yet I’m in aviation, and honestly, it’s not redesigning there. And I think that there’s a lot of potential there. I saw the shareholder resolution come through from the New York Times and immediately reached out to [one of the organizers] over email and she told me I could become more involved and so a group of us has been meeting and the numbers keep growing, especially with this letter. The number of people who want to be more involved is astronomical. It’s definitely got momentum. Sheppard: I think it’s because being a part of something that encourages Amazon to be on the right side of climate action is something that we’re all proud of. And it shouldn’t be something that we’re covertly doing, that we’re doing in the shadows. We’re doing it openly, we’re doing it to be collaborative with Amazon. And it’s because we believe in Amazon. We’re all employed by Amazon, we’re dependent on Amazon, and we want to continue to work at Amazon and be able to brag and show how Amazon is leading, on the forefront, for Google, for Facebook, for not only all the tech companies, but all corporations at large. We don’t believe that anyone other than Amazon has the power and the capital to lead this movement forward. Sheppard: We want to encourage Jeff Bezos and the board to adopt the resolution. People have only been able to sign the open letter since Monday, so this is a way for us to show how many people employed at Amazon really care. To openly encourage Amazon and have Amazon see that you’re publicly encouraging them, both as employees and owners of Amazon stock, and as customers of Amazon—you know, I buy all my goods from Amazon myself, and we want to see them take the right decision and move us forward on this. Gizmodo: Amazon isn’t known for being an open company, so this public call by employees has surprised people in some quarters—were there any holdups, knowing that Amazon, like many of the other major tech companies, has a culture of secrecy? Sheppard: We all see ourselves as being progressive for Amazon and helping Amazon lead the pack into the future. I think that this is the kind of momentum we’re seeing more and more with the Google walkouts, with We Won’t Build It, I think that we are finding that there’s actually a lot of power in employees. And there’s power in people who have a common cause. Climate change is about the preservation of our planet, and we all rely on our planet. I’m from Wilmington, North Carolina, and I have friends and family who lost their homes to hurricane Florence and I have friends who feared for their lives in the California wildfires. I live on Bainbridge Island and commute into Seattle and last summer I could barely breathe because I was sitting outside and inhaling all this smoke every day. Climate change is something that we can’t keep our heads in the sand about anymore. Sheppard: I know that for my fellow Amazon employees, my fellows peers in many other companies, it’s a big topic for us. Honestly, on top of the sheer impact of climate change, it has an anxiety-inducing effect—I have a book club, and we talk about our fears of climate change. It’s become, especially as a woman: Do you want to have children in a world where you don’t know what the outcome for this planet is going to be? Gizmodo: Can you talk at all for a second about what it’s been like to join this organizing effort? You’ve said there’s this sense that the movement is growing, and you mentioned Google and the walkouts and We Won’t Build It—this is in some ways new territory for the tech industry. So how is it felt to be organizing in this space? Sheppard: I feel incredibly inspired by the coming together of all of my colleagues at Amazon. Everyone that I’ve shared the letter or asked to sign it has been more than enthusiastic—they’ve signed it, shared it, and asked about how they can get more involved. And so, to me, it has made me feel connected to my colleagues as well as more invested in Amazon. It’s easy to feel isolated when you work at a massive company. If you believe in the company you’re working for, and that it’s going to address something that’s important in the right way, that makes you much more invested in contributing to that company’s success. I think it’s empowering. And I think people are just starting to realize the power that we all have together, and in coming together. There’s a lot of power there that we’ve been unaware of and that we’re tapping into and it’s going to drive a change. We already see it driving a change: The announcement of Shipment Zero. That came from the resolution. We know that was in direct correspondence to the initial resolution filed last year. So we see the power that we have. And Shipment Zero was great, and it showed us that Amazon was listening—but they’re not taking it seriously enough. There aren’t clear dates. They don’t say what they mean by getting to those carbon reductions: Is that just planting trees, or carbon offsets? So we’re excited to see people signing the letter, and we believe that the right thing to do is to adopt the resolution and actually have Amazon be on the forefront of climate action. Sheppard: Yes. We all have our specialty, our areas of expertise: We have SDs [software developers], we have user interface web designers, we have transportation experts, on trucks, on airplanes, on maintenance, and all these people want to use their unique skills to help better the planet. And so if we could do that in our role, that, honestly, is the most rewarding work. With signing the resolution, we believe that Amazon would be empowered to have all of those efforts matriculate down into our job functions. Sheppard: I think for me, something that hit me very hard was seeing Amazon partner with companies to expand and accelerate oil extraction, and the AWS oil and gas initiative was especially disheartening. So I’m really excited to see Amazon take a clear stance and be on the right side of climate action in that field. I believe that by signing the resolution they’re going to motivate their employees and they’re going to improve their stock outlook—partnering with oil and gas to and pulling more of those resources out of the earth and accelerating the extraction is only harming ourselves as a company and harming the planet. Sheppard: Climate change is really personal to me. I’m from a coastal town and I’ve watched the erosion of the places where I’ve grown up. Homes nearly sinking into the ocean, or being in the ocean as I’ve grown up, and realizing that the sea level is rising, having that be in my face my entire life, has made a huge impact on me. I remember when a neighbor from three roads down from me, their porch ended up in our backyard from a hurricane, it really drove home to me, I think I was 8 at the time, that we’re all interconnected. What we do in the US and in India in the Middle East, it’s impacting the whole planet. And we really need to come together as a species to preserve this planet. It’s hitting the most vulnerable communities the most. I’m fortunate that I can now live in Seattle, and that my parents can get another home and that my friends whose homes were destroyed in Wilmington had places to go, but there people in other countries, like Bangladesh, that don’t have those options. We need to have compassion to see that, and actually actively feel the impacts of climate change and not just keep our heads in the sand. That’s something that I feel, and everyone in this organization and the people at Amazon feel. I’m excited for them to see the power that we have in this movement and realize that we can all drive change together.